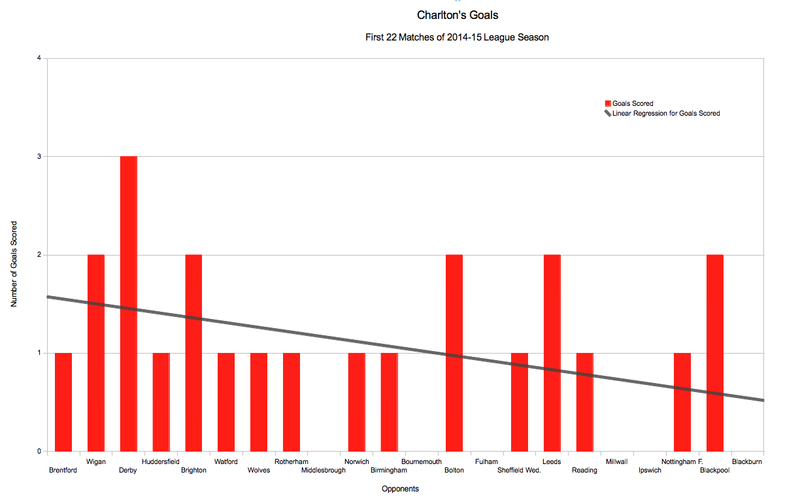 So far this season Charlton have played 22 matches and scored 23 goals. The goals to games ratio, 1.05, is not impressive. Indeed it is joint 17th in the division – on a par with Bolton and Millwall. Best is Bournemouth with 2.27 goals per game. Worst is Sheffield Wednesday with 0.73 goals per game. 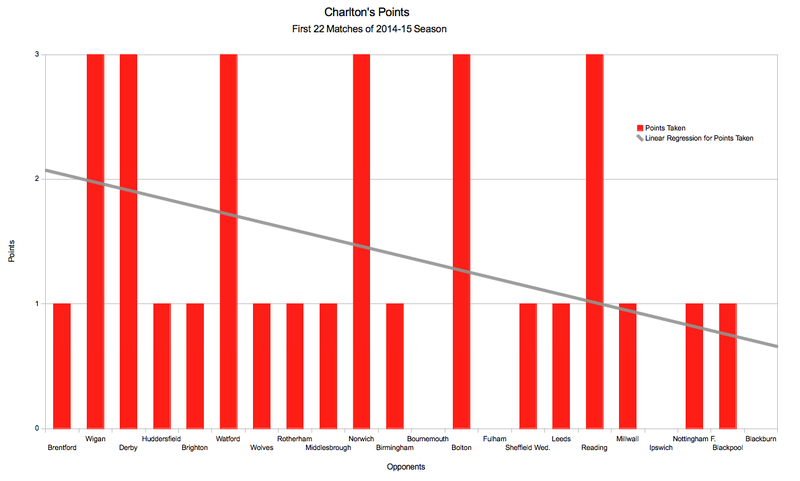 What is most disturbing for Charlton fans though is the way that the goals have tailed off. Only Igor Vetokele has hit the net with any regularity this season. However he hasn’t scored in over a month now and no-one else has taken over goalscoring duties. In the time since Igor last got a goal, against Reading on 8th November, only Harriott, Buyens and Cousins have scored, and they’ve only managed one each. The chart below shows how the goals have dried up. It looks as though Charlton will need to do something soon to increase the number of goals scored if the season isn’t to peter-out completely.